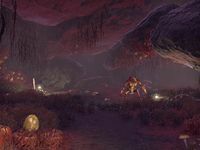 Missir-Dadalit Egg Mine is a group boss site found in the Molag Amur region of Vvardenfell. Many hostile kwama surround the exterior of the mine. Consort Killer 10 Defeat the Queen's Consort at Missir-Dadalit Egg Mine.